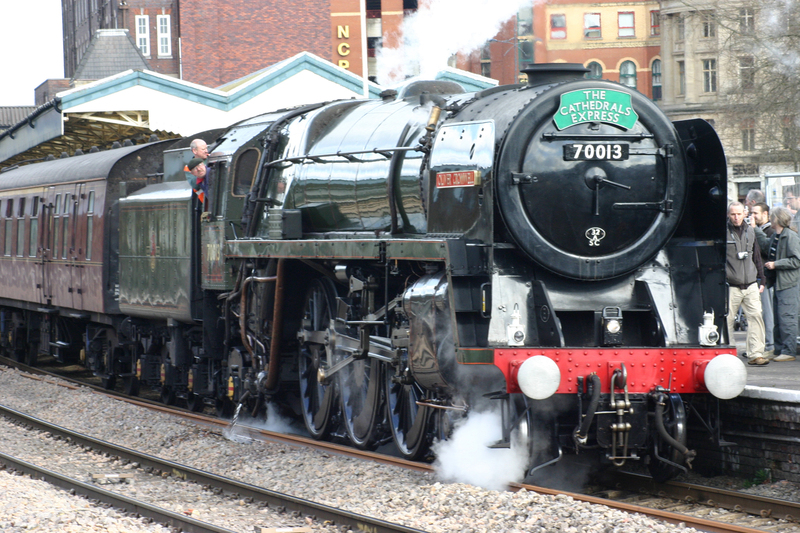 70013 Oliver Cromwell stands at Newport on 1st March 2009. 66053 at Severn Tunnel Junction on 26/12/09 during the remodeling work taking place during the complete closure of the lines in the area. 60163 Tornado stands on Hither Green Depot on 18/12/09. 70002 at Stoke Gifford sidings on 18/11/09. 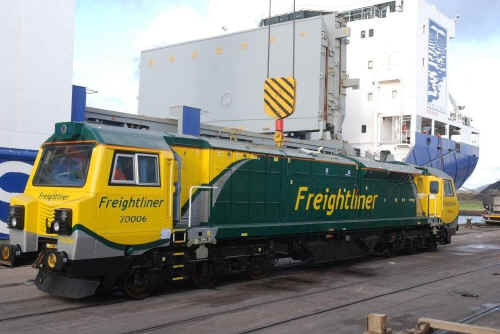 70003 stands at Newport Docks shortly after being unloaded. 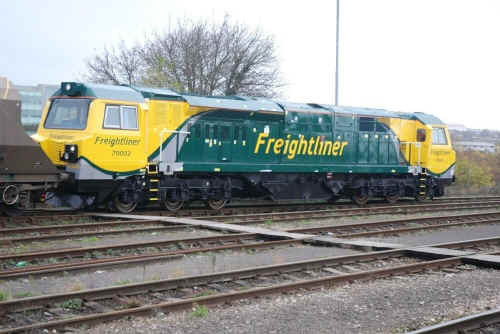 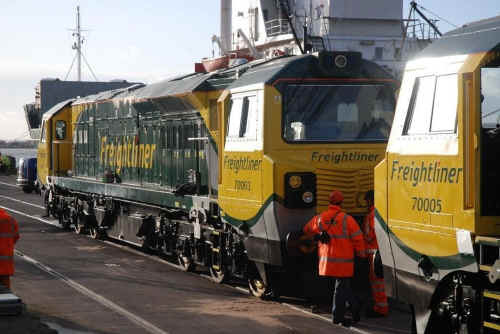 70004 stands at Newport Docks shortly after being unloaded. 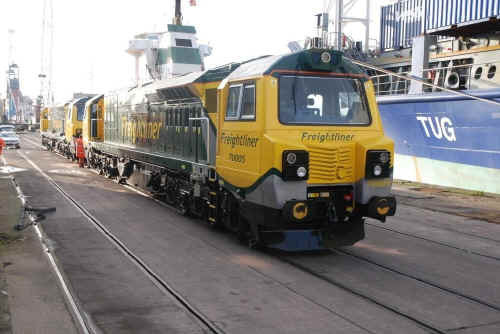 70005 stands at Newport Docks shortly after being unloaded. 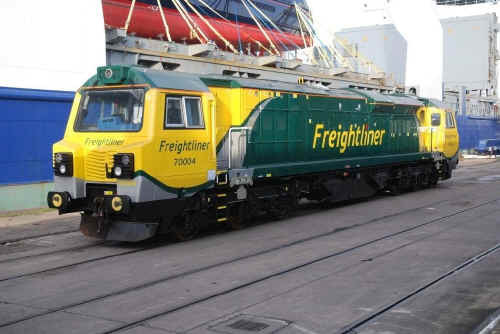 70006 stands at Newport Docks shortly after being unloaded. 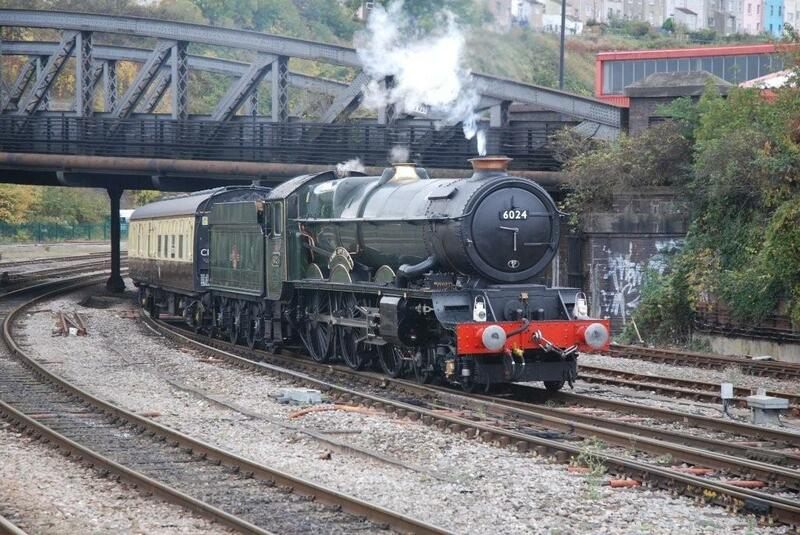 6024 King Edward 1 enters Bristol Temple Meads on 09/10/09 en route to Kidderminster. 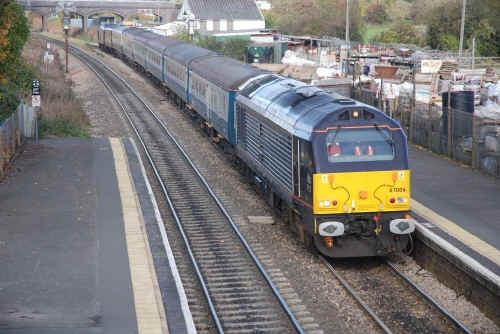 67006 and 67005 top and tail 5Z65 special through Patchway on 26/10/09 in conjunction with filming of a TV show. 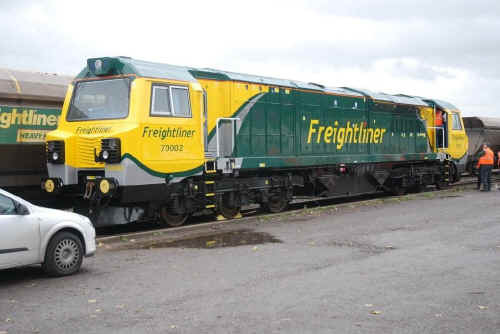 70002 stands in Stoke Gifford Yard on 11/11/09 undergoing crew training after arriving in the early hours of the day before from Newport Docks. 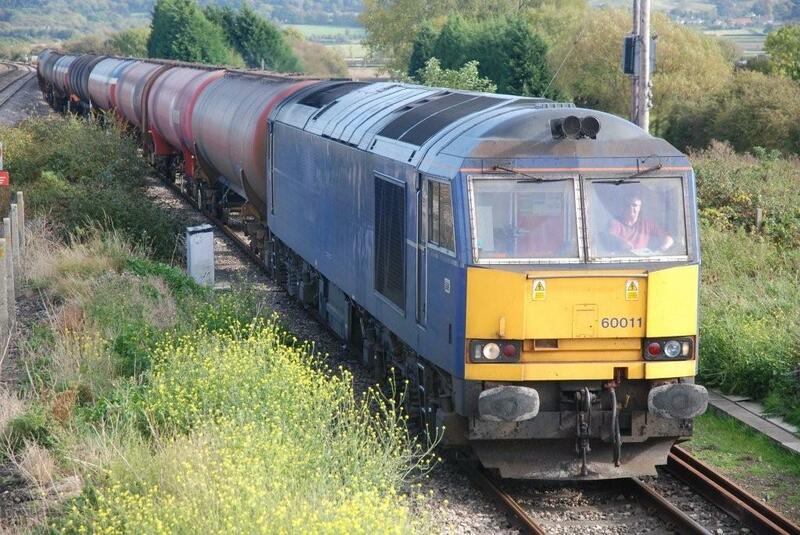 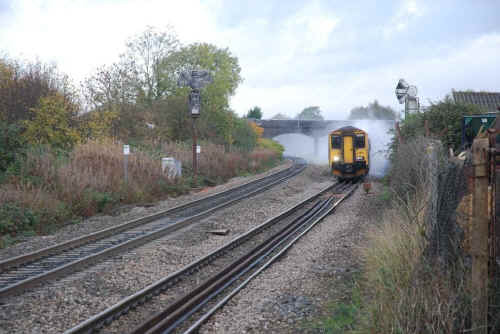 60011 is seen entering the down loop at Pilning on 10/10/09 with empty Murco tanks for Robeston. [Jim Hockley] 60063 passes Patchway with 6B49 Llanwern - Swindon on 13/10/09. [Jim Hockley] 66842 stabled at Gloucester on 26/07/09. 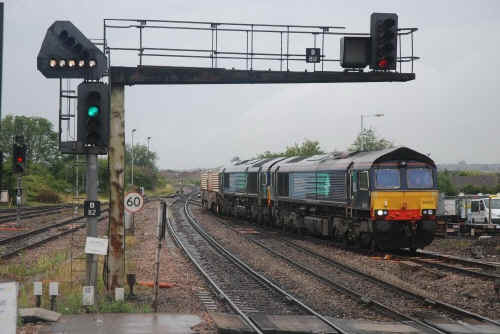 [Jim Hockley] 66599 hauls 4v20 Fiddlers Ferry - Portbury through a very wet Patchway on 04/08/09. 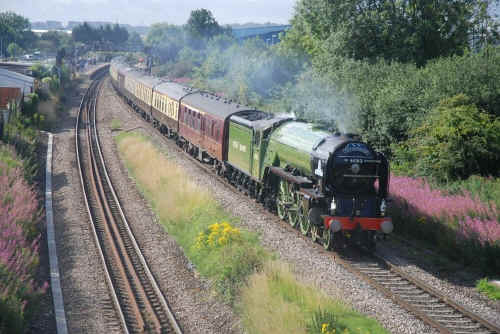 60163 Tornado passes Patchway with the "Towey Tornado" on 25/07/09. 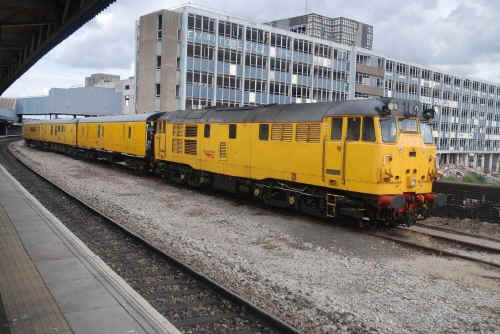 [Jim Hockley] 31233 stabled at Temple Meads on 10/07/09 with stock 6263 999602 and 9703. 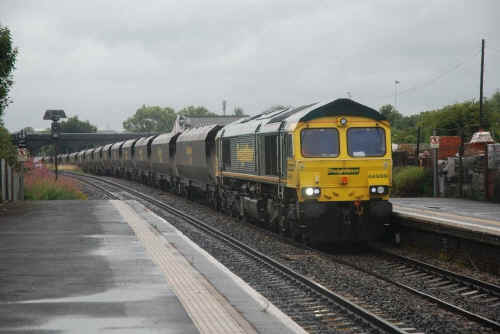 [Jim Hockley] 66425 and 66428 pass Parkway with 8M67 Bridgewater - Crewe flasks on 16/07/09. [Jim Hockley] Approaching Parkway on 22/07/09 with 0Z40 Crewe Gresty Bridge - Plymouth route learner was 57012. 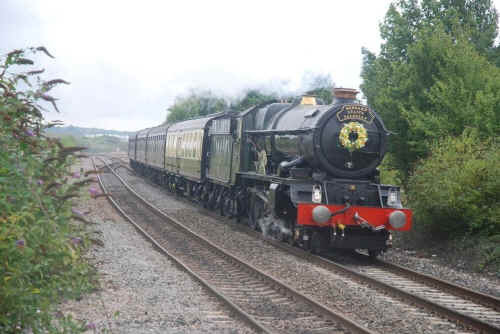 6024 passes Patchway en route to Shrewsbury on 10/08/09. 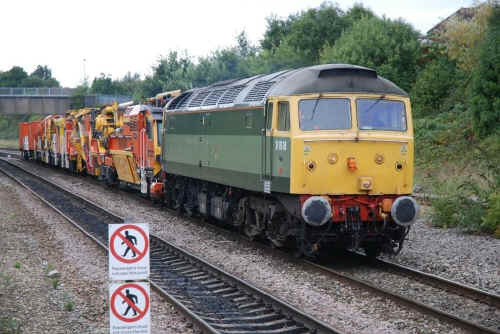 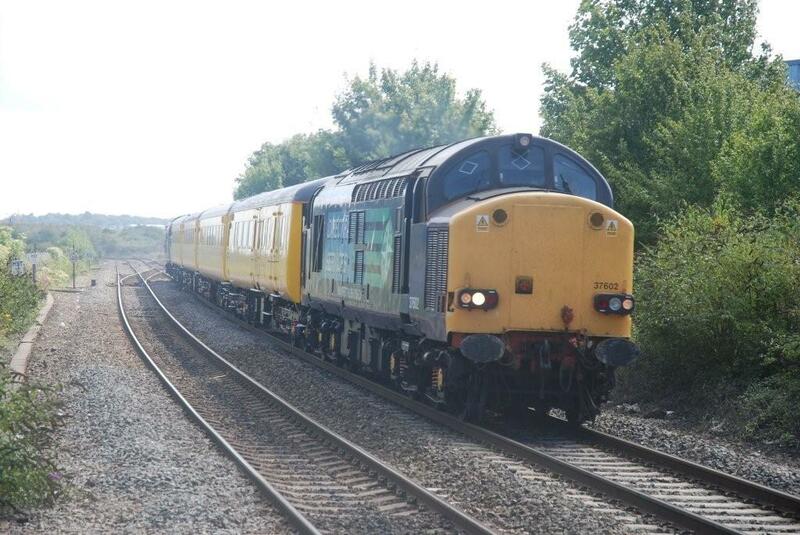 [Jim Hockley] 17/08/09 37218 with 37602 top and tailing a Network Rail test train. 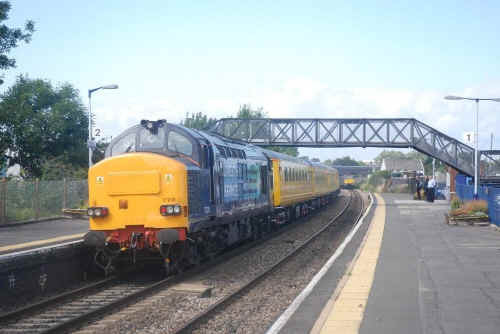 [Jim Hockley] 17/08/09 37602 with 37218 top and tailing a Network Rail test train. 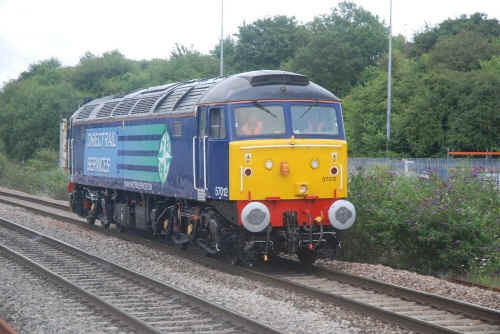 D1916 (47812) at Filton Abbey Wood on 17/9/09 with 6Z47 Tavistock Junction - Rugby the consist included DR76601. 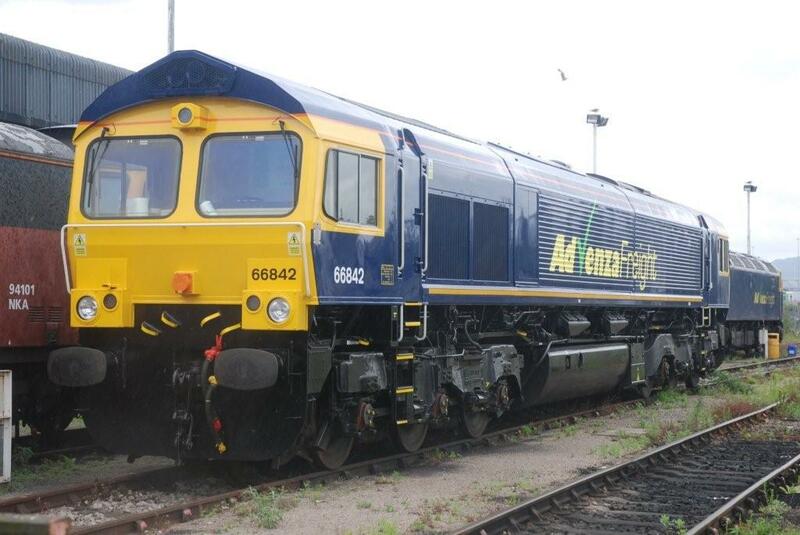 66841 stabled at Bristol Temple Meads on 28/06/09. 60 040 stands at Westerleigh Oil Terminal on 11/06/09. 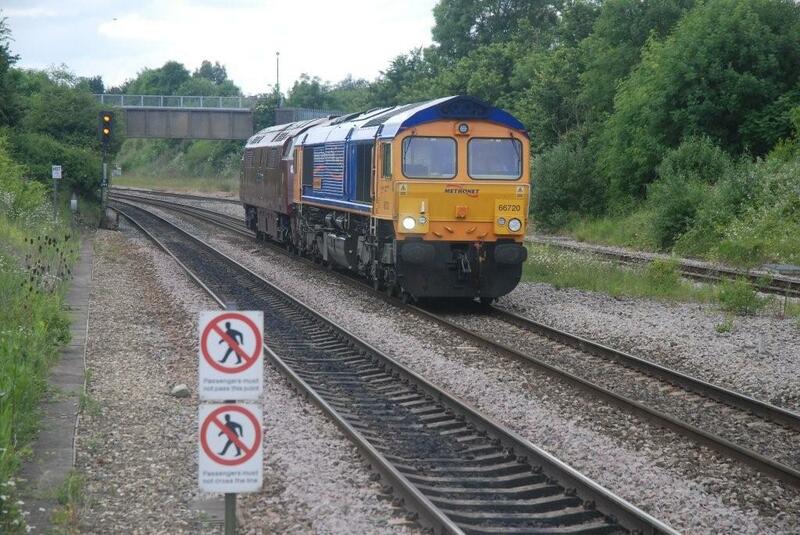 66720 hauls D1062 throughFilton Abbey Wood on 16/06/09 from Bishop's Lydeard - Kidderminister. 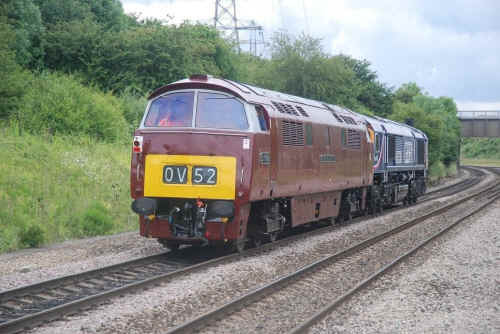 D1062 is hauled through Filton Abbey Wood by 66730 on 10/06/09. 60068 Powers 6E41 Westerleigh - Lindsey through Yate on 16/05/09. 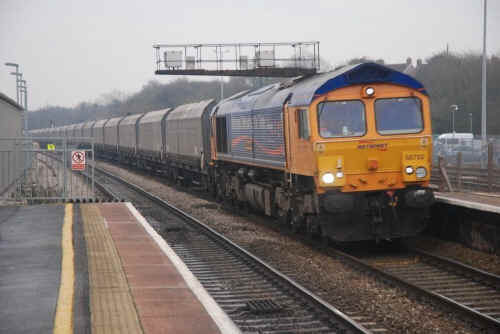 66611 passes through Cam & Dursley on 06/05/09. 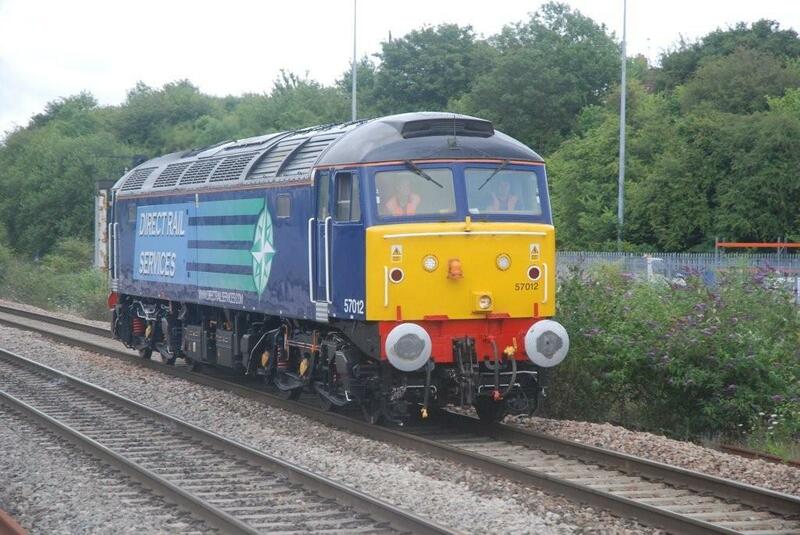 56311 draws onto the mainline at Yate with 6Z56 Westerleigh - Oxford Hinksey Yard on 16/05/09. 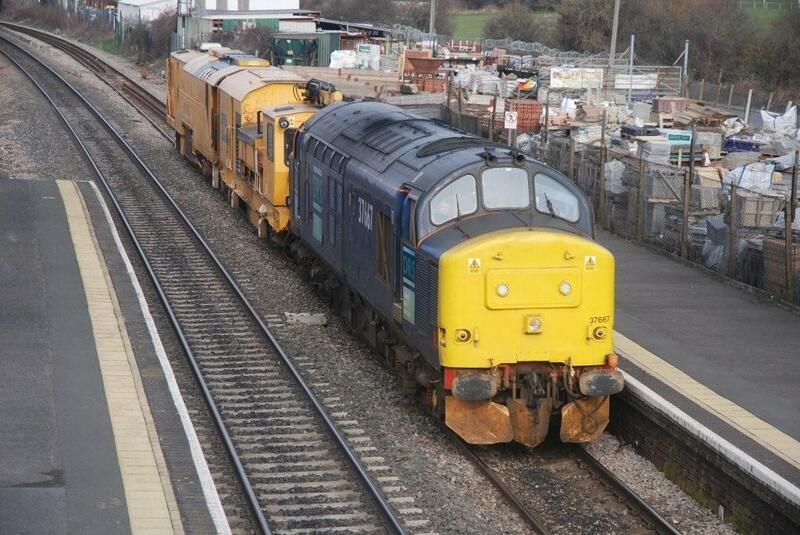 [Nigel Hoskins] 43154 & 43128 at Harefield on a Cheltenham - Swindon "shuttle" on 08/02/09. 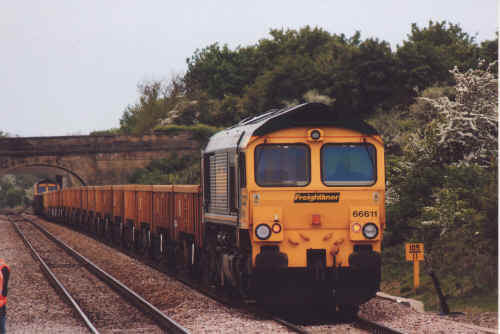 66547 hauls 6Y21 Gloucester New Yard to Cam & Dursley on 05/05/09 at Standish Junction. 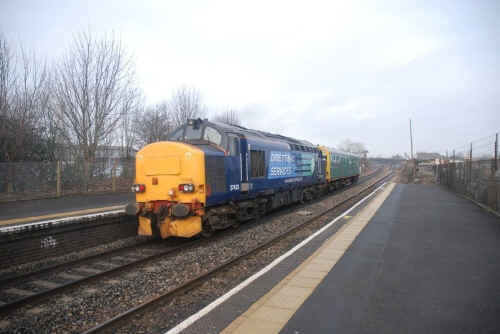 20309 & 37604 head 6M67 Bridgewater - Basford Hall on 24/02/09. 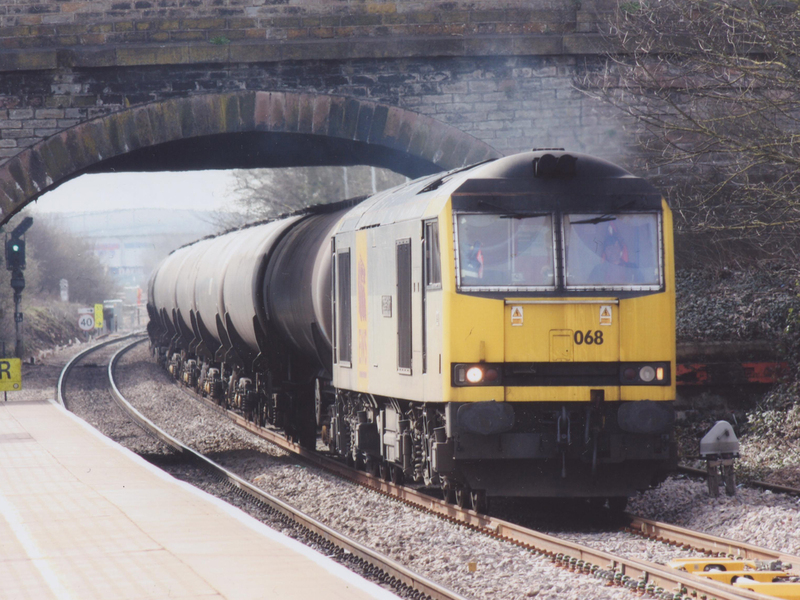 66213 pulls into the Up loop at Chipping Sodbury whilst working 6D13 Avonmouth - Didcot on 16/03/09. 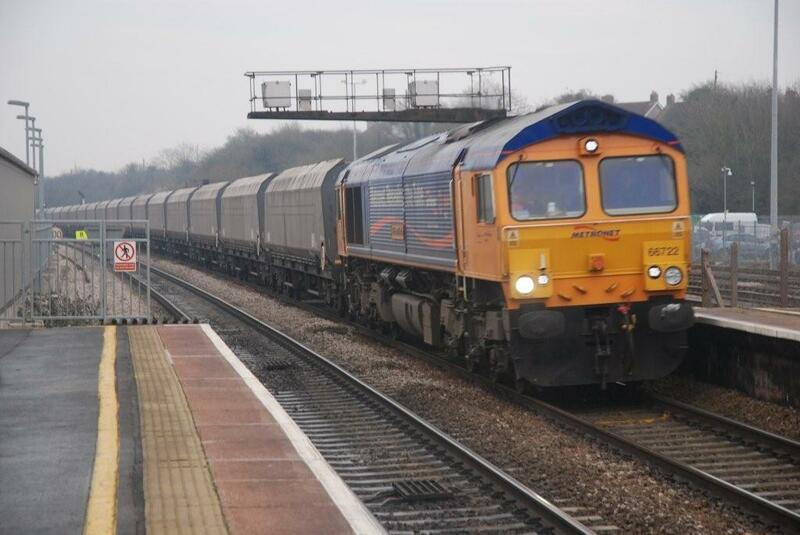 66547 passes Claydon on 04/05/09 with 6Z21 Crewe - Gloucester New Yard. 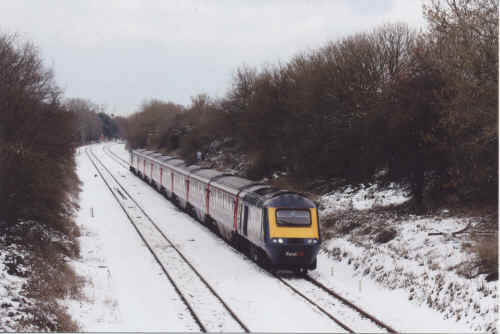 Following the failure of 67016 on 23/01/09. The 2C79 14:00 Cardiff - Taunton is headed by 66006 near Yatton. 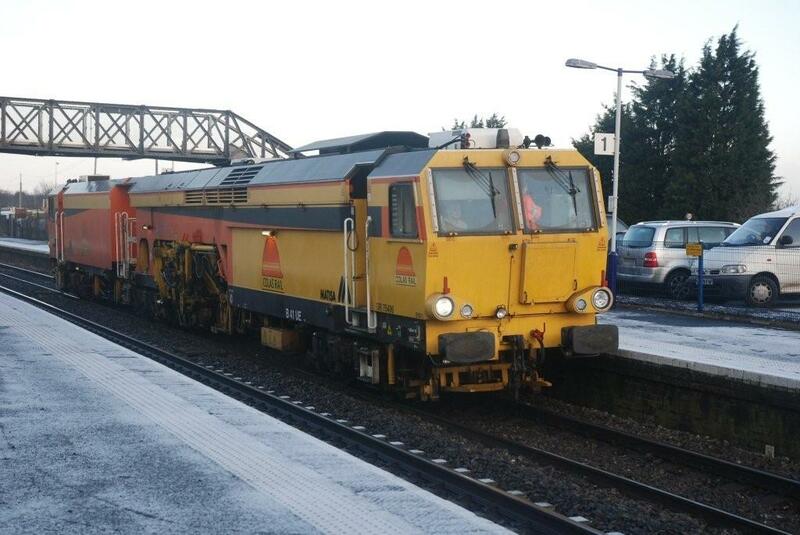 67028 was on the rear providing heat. 59005 hauls a failed 60010 through Patchway on 6B83 Westbury - Machen on 10/03/09. 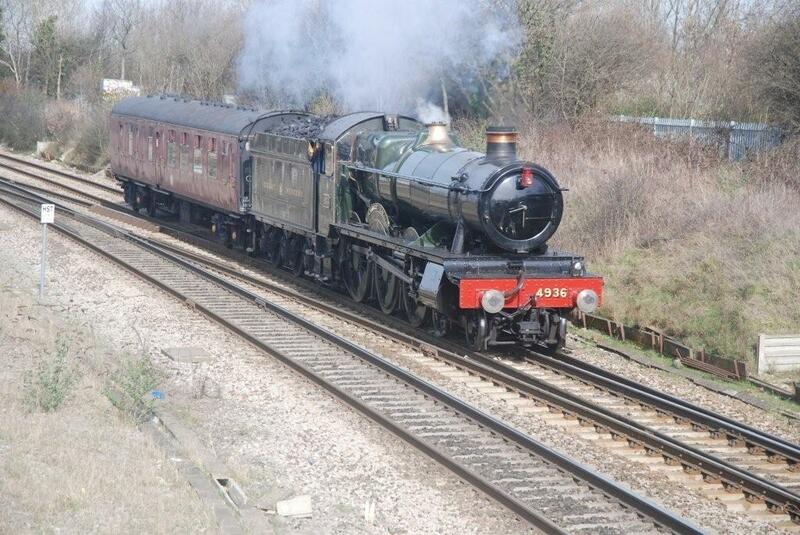 [Jim Hockley] 4936 Kinlet Hall passes Filton Abbey Wood on 16/03/09 en route to the West Somerset Railway. 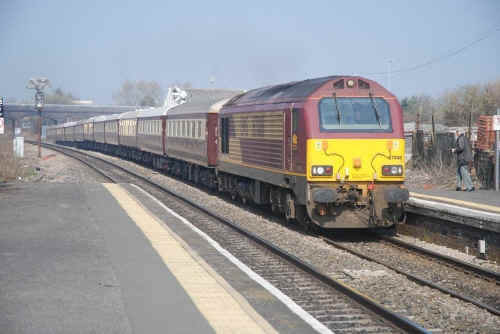 [Jim Hockley] 67008 heads 1Z67 Manchester Victoria - Bath Spa Northern Belle through Patchway on 20/03/09. 37423 propels 975025 through Patchway en route to Cardiff on 27/01/09. 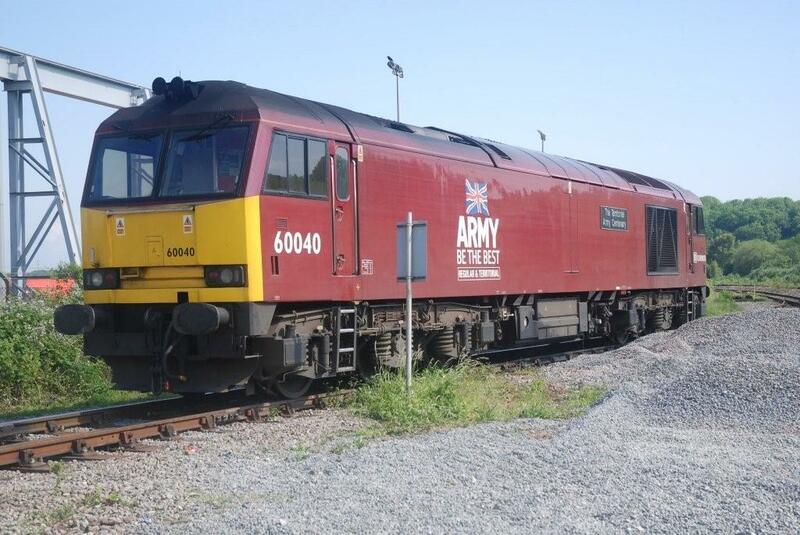 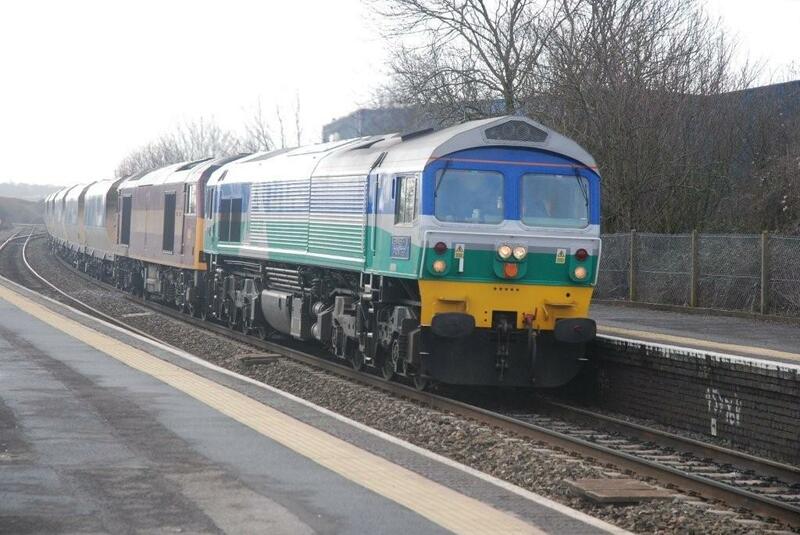 [Jim Hockley] 60049 at Patchway on a Westbury - Newport ADJ service. 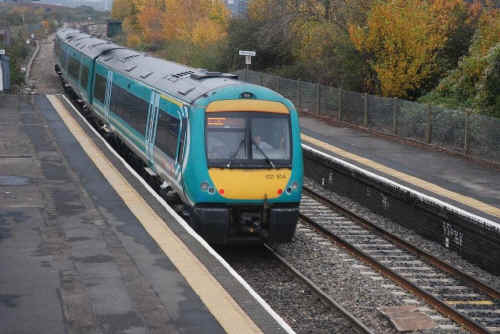 [Jim Hockley] 170104 at Patchway on what was thought to have been a diverted Cardiff - Nottingham service. 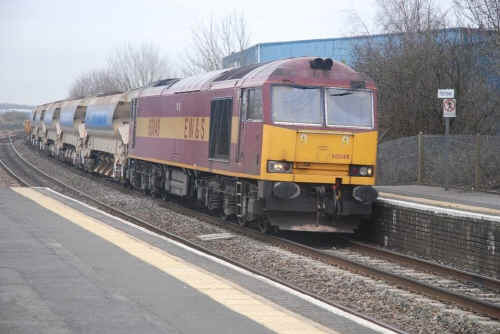 [Jim Hockley] 37667 hauls DR80211 as 6Z37 Cardiff - Three Bridges through Patchway on 20/02/09. 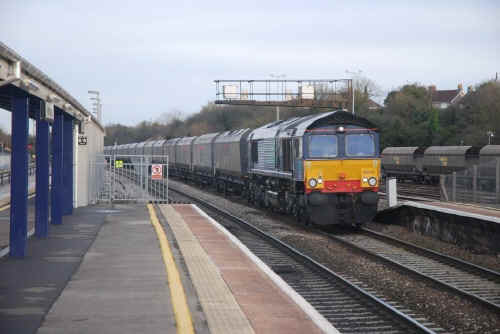 66415 heads the 4G20 Chaddeston - Portbury through Bristol Parkway on 19/01/09. 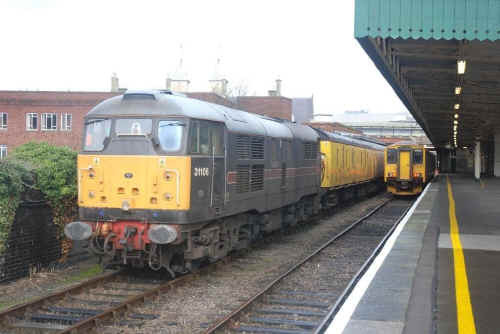 31106 stands at Bristol Temple Meads on 16/01/09. DR75046 pauses at Patchway on 05/01/09. 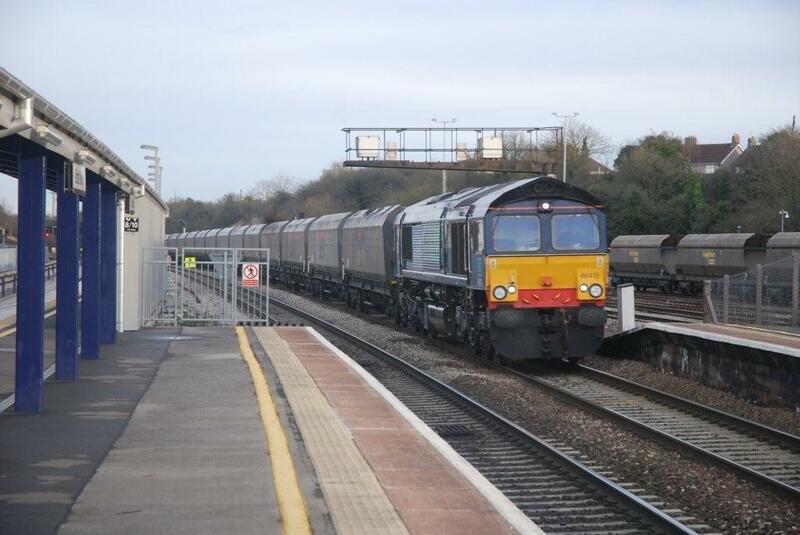 66722 "Sir Edward Watkin" passes Bristol Parkway on 08/01/09 hauling 4Z20 Chaddeston - Portbury. 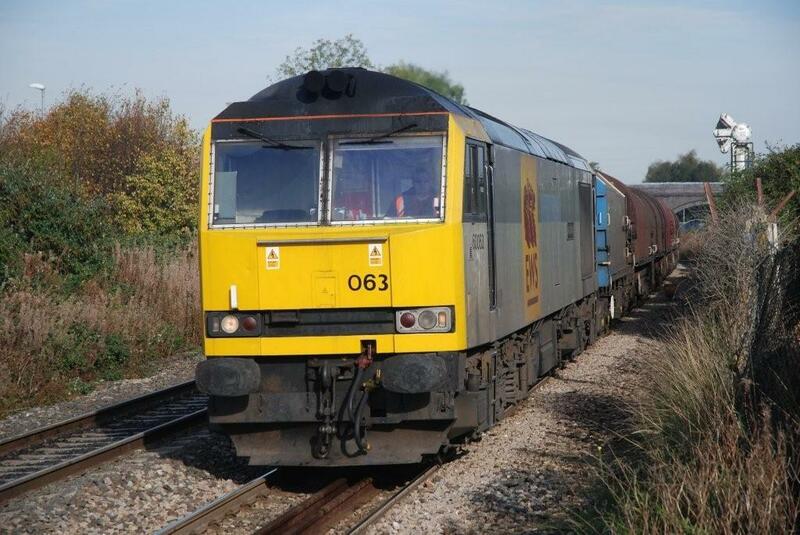 66134 at Haresfield on 18/09/09 with 6A36 Ashchurch - Didcot. 60041 working 6B13 at Stonehouse on 18/09/09.